Please Note: Sony no longer produces the CCD-TRV138. We can occasionally find new cameras, but can mostly only find refurbished or used cameras in very-good to excellent condition. Because of limited supplies, we can no longer guarantee that you will get a new camera for this model. You may also send us in your camera for conversion. We have a fully functional, 0-Lux Infrared (IR) capable Sony Camcorder CCD-TRV138 that has a Re-Enabled Niteshot Function that permits you to shoot in broad daylight with full shutter and aperture control. This modified camera is completely normal as a regular Handycam but and can also film at up to 1200nm even in daylight. 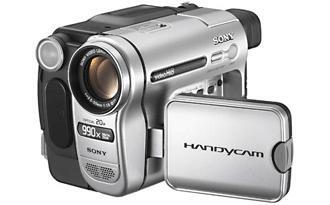 You can use this as your regular camcorder and also as your infrared camcorder. Our Performance Guarantee If you are not satisfied with your IR enabled camera, we will put it back to stock at no additional charge other than return shipping.